Vivo has launched couple of different series smartphones recently and one of them is Vivo Y95 after Vivo Z1 Lite device. The brand has launched this mobile phone particularly in a few countries and expected to launch in other regions as well. Vivo Y95 features Qualcomm's SD 439 processor and paired with 4GB of RAM. 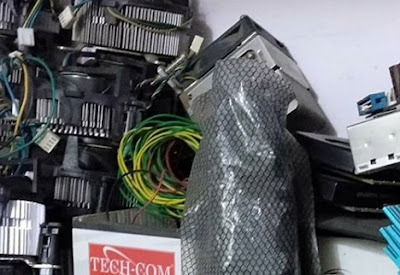 The internal storage of the gadget is 64GB ROM with expandable memory option. 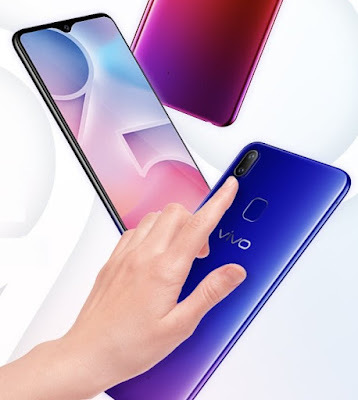 If you are looking for Vivo Y95 key features, technical specifications, price, review, first impression, comparison, unboxing and hands-on etc. then you could find some of them over here. The phone is powered by Snapdragon 439 processor and 4GB of RAM. It comes with Fingprint shutter, AI Night shot, 4030mAh battery and 20 megapixel AI camera sports. The display size of the mobile phone is 6.22 inches Halo display, AI Backlit HDR and powerful selfie camera beside Android Oreo operating system. This could be one of the cheap and best smartphones around. You can check Vivo Y95 cell phone's specs and price detail below. Tips: This is one of the budget smartphone to grab as it has reasonable mid-range features.